This week I learned something quite cool: using tailor tacks for darts. I don’t know why I never put any attention into this previously, but it’s quite a time saver, you get perfect darts and there’s no mess or unhappy after-washing incidents. 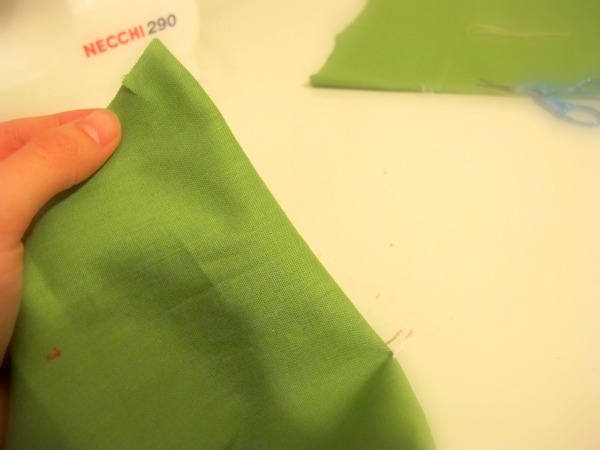 First insert the needle once through both layers of fabric. This is a skirt dart, but a bust dart works the same. 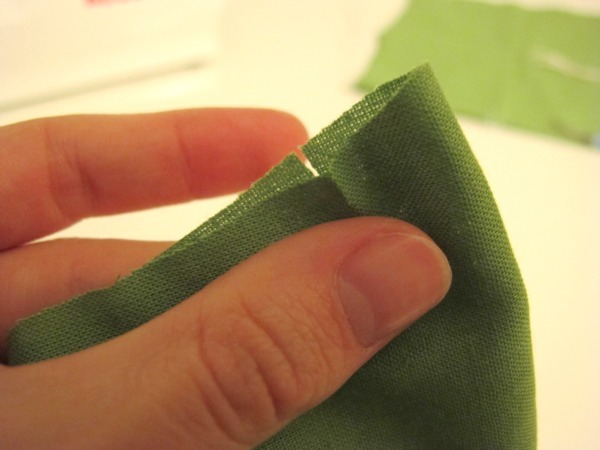 Then slightly open the two layers, making sure the thread is long enough to cut. 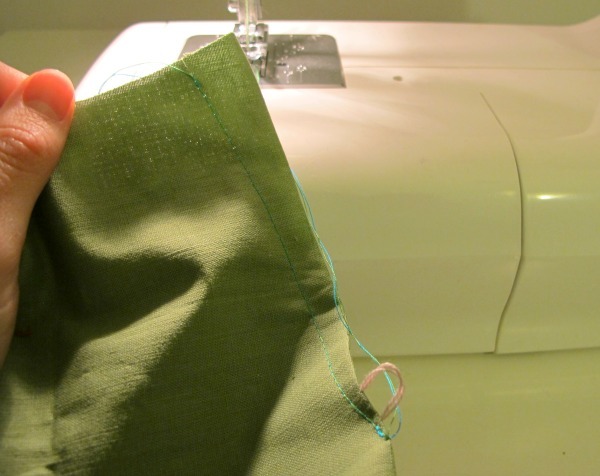 And snip, making sure you left the threads a bit longer, so they don’t get fished out when you move the fabric. Another thing I mark on the fabric are the dart legs. 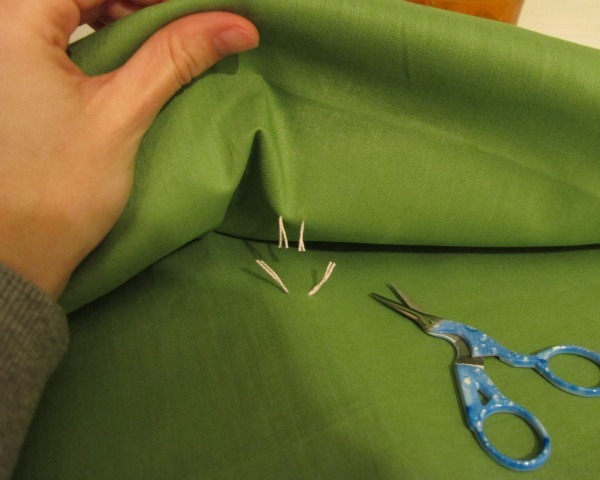 You can mark this with tailor chalk or washable marker, but I just create small snips at the same time as I cut the fabric from the pattern. 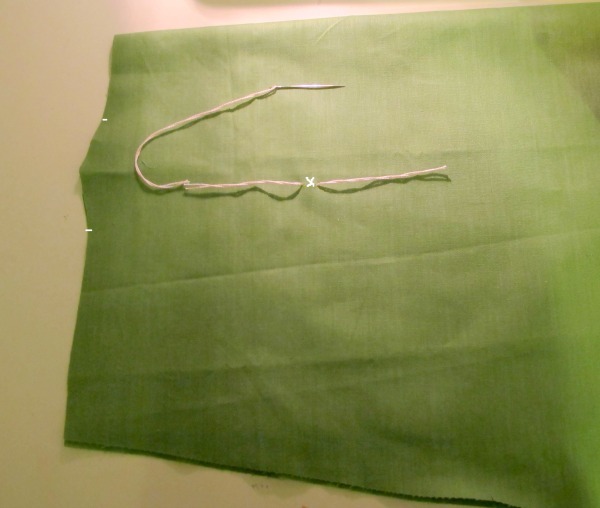 You then sew the dart, making sure to sew a few stitches backward when you start and end your line. 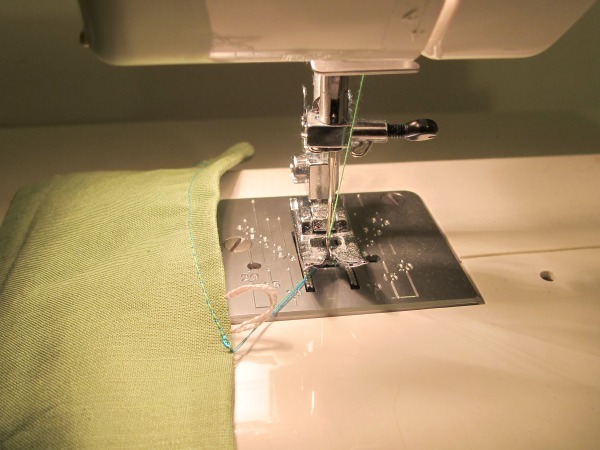 Some experienced sewists say you shouldn’t backstitch at the end of the dart. 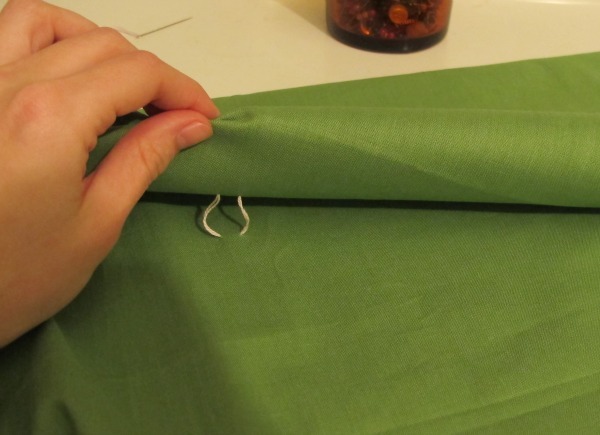 You can simply tie the threads at the end, but I do this when the fabric is crisper and I know the pleats are not going to be pulled to much, thus they will not show on the right side of the fabric. Just remove the tailor tack and here you go: your perfect dart. Now press and continue with the next steps of your project.